Sometimes, it's the simple things that deliver immense satisfaction. 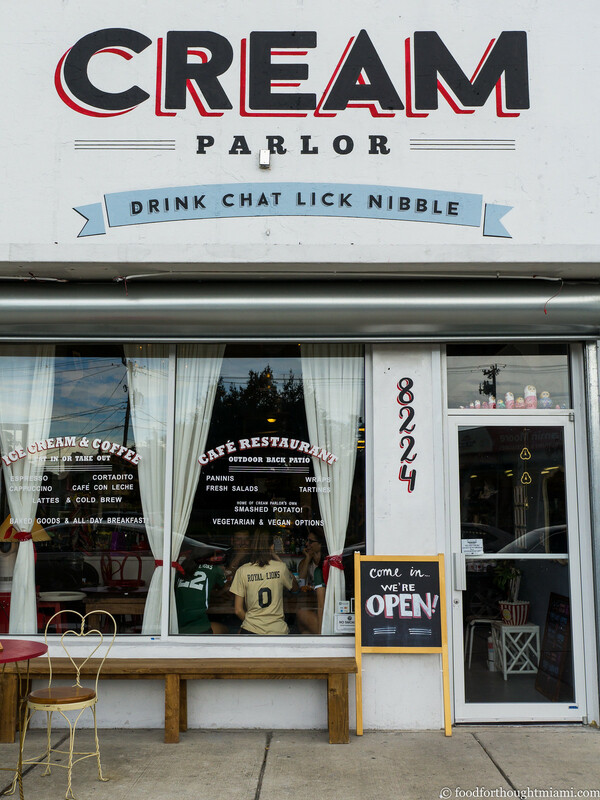 I'd just finished brunch at Pinch Kitchen on Biscayne Boulevard, and noticed that the new ice cream place across the street, Cream Parlor, had finally opened. I took a peek inside, and was pleasantly surprised at what a charming little place it was, loaded with vintage tchotchkes on the walls, mismatched coffee mugs, and flowery grandma plates. 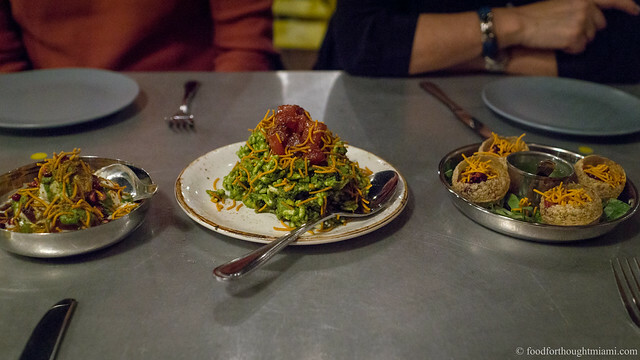 It also turns out to be a lot more than just an ice cream shop: there's a pretty extensive breakfast menu, plus sandwiches, tartines, salads, and healthy-sounding vegetable dishes like curried chickpeas and sriracha lentils. The ice cream flavors veer more playful rather than artisanal: Red Velvet Cake, Prince-inspired Purple Rain, technicolor-hued Unicorn Poop. 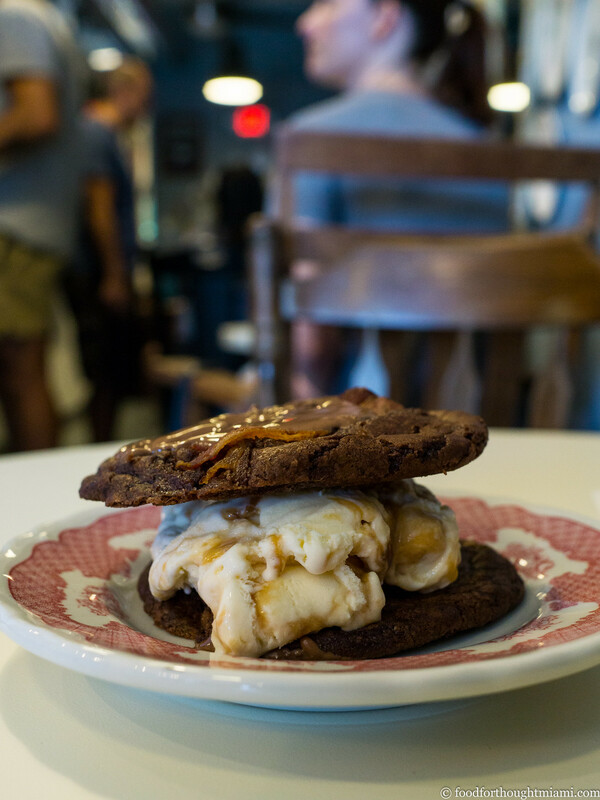 Among many other options, you can construct an ice cream sandwich from your choice of flavor and cookie, which I did with their salty peanut ice cream and Belgian chocolate and bacon cookies. I highly recommend the combination. What's more, the couple running the place, Johnny and Ainsley Tsokos, are as sweet as their ice creams. (Some more pictures in this Cream Parlor flickr set).